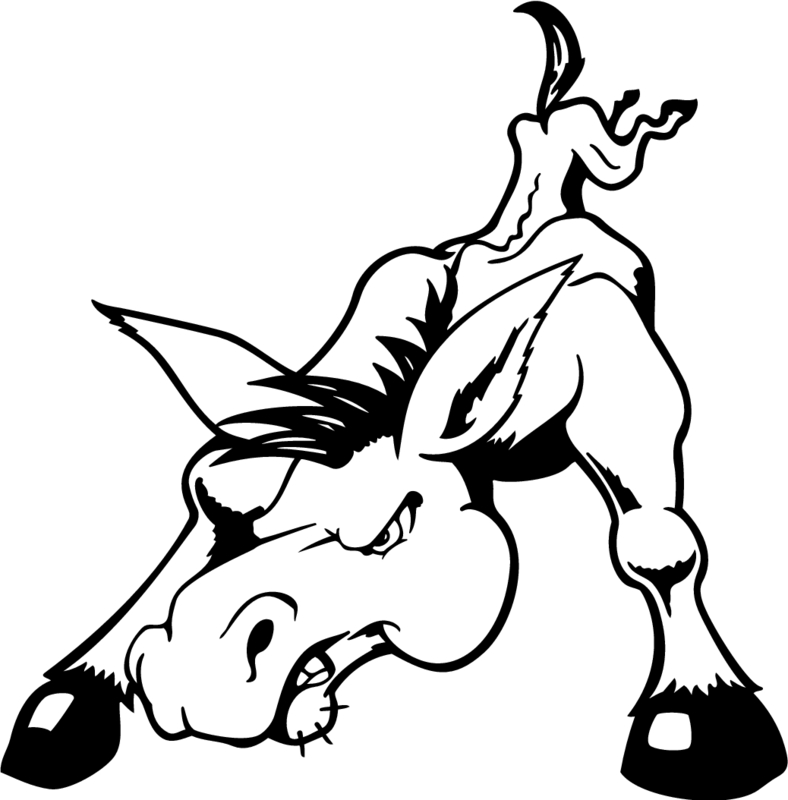 A Bad Donkey Gaming battle report featuring Senger's Daemonhunters vs Jeff's Chaos Daemons. Another Bad Donkey Gaming Battle report, this report features Senger's Dragon Lord vs. Jeff's Chaos Daemons. We all know the knights are on the way but here a nice little tidbit. The Storm Raven if you haven't heard is confirmed for the knights of the emporer. I for one cannot wait for april and the day my favorite army gets a new book. You can count on me getting at least one storm raven. It will be a time of great sorrow for those who worship the powers of chaos. Men and deamons alike will tremble at the wrath of the grey knights. rumors to follow soon. More fun memories for way back when. Going back into the achieves to reminisce on some fun memories. 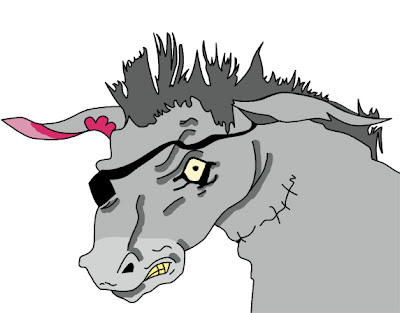 Another Bad Donkey Gaming battle report. This battle features Senger's Dragon Lord (SW) and John's Orks aka Boss Forskullz Waaagh. 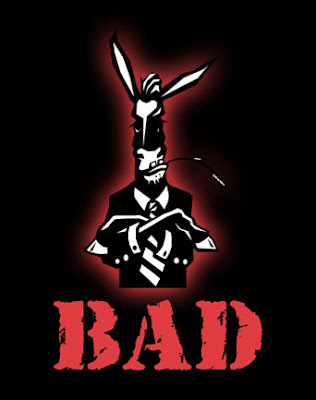 Bad Donkey Gaming's first battle report! 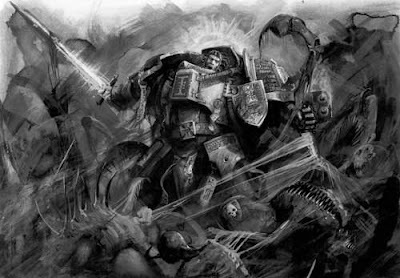 Features Senger's rarely seen Tyranid Army & Crusher's "I love terminators" Space Wolves. The Storm Raven is now up in the advance orders at gamesworkshop. This baby is just what the Doctor ordered. 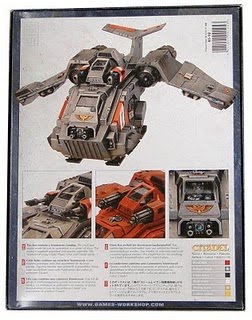 Looking at this baby thunderhawk we get a really nice mix of firepower, mobility and transport capacity. The first role I believe for the Raven is the fact that it is a gunship and can be kitted out to be either anti-infantry or an anti-tank role. In the anti-infantry role you can go with either the standard heavy bolters or the typhoon launcher, the assault cannon or plasama cannon and add on hurricane bolter sponsons for good measure. On the anti-tank side of the equation it can load up with a twin-linked multi-melta or the typhoon laucher, again the twin-linked assault cannon or a twin-linked lascannon and of course you have the four standard blood strike missiles. Either way you go you can truly make a solid gunboat out of this little piece of Heaven. Then there is the really fun part, not only does the Storm Raven have lots of guns but it also has a transport capacity of twelve models. 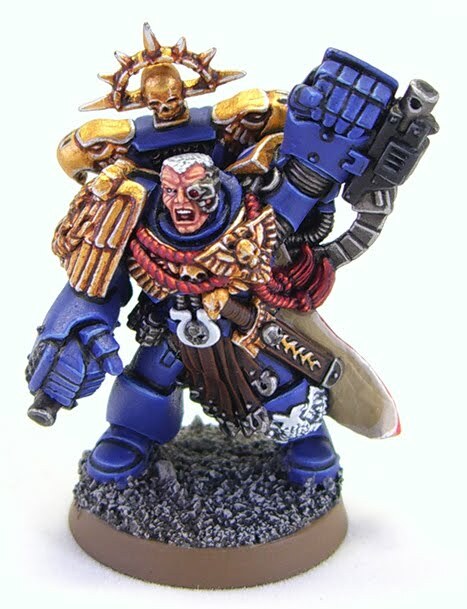 Which also breaks down to six jump pack marines or six terminators. Being an assault vehicle that makes this truly scary, but we're not done there just yet. You all know we can drop in a dreadnaught off this little army in a can too. 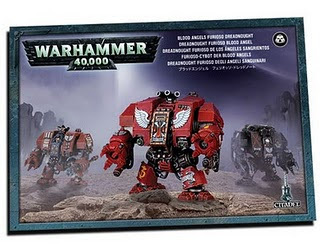 Whether its a furioso, death company, or a standard dread, this strike force is going to pack a knockout punch if delivered at the right time. To compliment the Storm Raven and augment that initial drop the Blood Angel Furioso Dreadnaught has also gotten an update in plastic. Its everything you love about a normal dreadnaught but when the going gets tough and you have to knock out thirty orks in a single blow you can take the blood talons and keep killing until you cannot kill anymore. 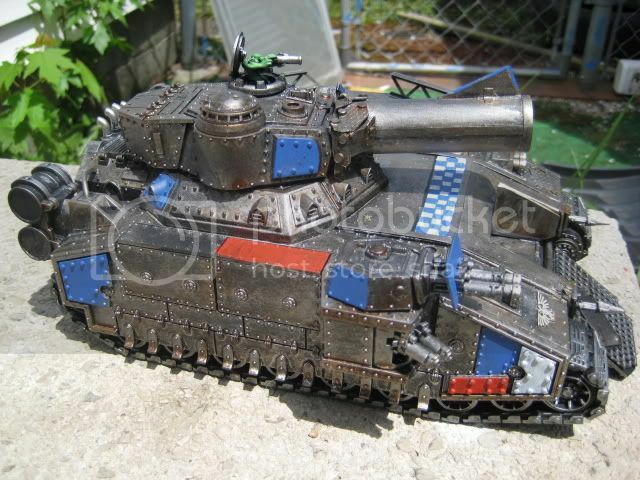 And with armor 13 on the front you can take a good amount of punishment and only have to worry about the heaviest of anti-tank fire. 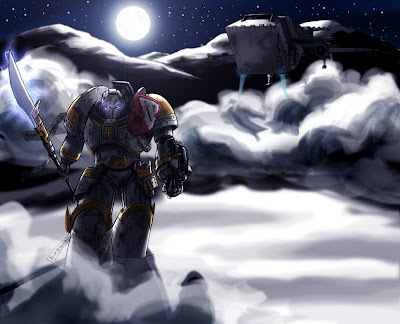 But take this old boy out for a ride on the storm raven and you will rarely have to consider that fire power at all. Due out on the 5th of Febuary each of these kits will make an excellent addition to your Blood Angel Forces. 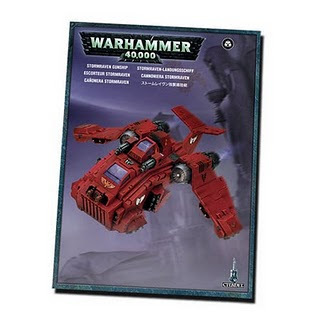 Also scheduled for release is the new Blood Angel battleforce which includes a rhino, 5 man assault squad, 10 man tactical squad and a 5 man death company. So whether you are looking to add on or get started check these out! As many of you know already Dark Angels have the new fancy storm shields with a 3+ invulnerable save. So this has got me thinking on how I can change my existing Dark Angels army to enjoy a bit more of this happy hammer time. I've seen some pretty radical lists floating out there with in the neighborhood of 25+ thunder hammer & storm shield terminators, and with cyclone missile launchers. And for me that is just too much shooting to give up, those storm bolters aren't much, but when your already out number your army can't simply for go the shooting phase. Every Wendsday our club meets at The Dueling Grounds on East Sandusky in Findlay at 6:30. Come on in and get your game on. We will be adding another table before to long and we have a good mix of players to duke it out with . Our first battle Report will be happening this wendsday, som come check it out. I have created a facebook fan page link can be located in bottom right of page. I have also created a YouTube account on which I hope to upload many many battle reports of my army crushing Sengers army. You might also notice our new fancy logo... that may change in the future, but for now I'm liking the green (can you guess who plays orks). Marneus is back in town with some new power ups due to the recent updates to the space marine FAQs. God of War just went nuclear with the ability to not not take no retreat wounds when choosing to pass your morale check after losing a combat. This really helps out a lot if the charging army is really only a threat on the charge and you want to hang around for that second round of combat without having to make those extra saving throws. Really really nice deal here. Not only that but combat tactics just got better too. Not only do the boys in blue get the awesome ability of to not take wounds but if they choose to fall back after being shot up they can now move 3 inches for regroup plus 6 inches for normal movement. So even if you roll a 12 for the fall back distance you can jump right back in the fight by moving a nice big 9 inches and still being able to rapid fire your weapons typically without a hitch. So the Boys in Blue have come storming back with a vengence and Big Papa Smurf is leading them right into the frey. A classic Warhammer 40k video! Games Workshop has update the Dark Angels codex with all the new goodies that the other Space Marine codexes have. Like 3+ invulnerable save storm shields and feel no pain apothecary. 10 Veterans with 8 Power Weapons 2 Power Fists and 10 Storm Shields! It's crazy expensive weighing in at 470 points. With the power weapon guys having 4 attacks on the charge and 3 attacks for the power fists, it could be very fun. This FAQ also makes Belial better as now he has access to a 3+ invulnerable save, he's still not great but something I might try out. The change to the apothecary rules also make Belial special terminator squad all the more attractive as well. 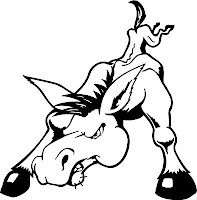 Bad Donkey Gaming will be attending a fun filled weekend of Warhammer 40k play at the Game Room in Toledo, OH on February 26th and 27th. It's a 2 tournament weekend! All designed to get your armies and skills primed for Adepticon 2011!!! Check out the Game Room's website for more details. Check out the About Us page. I've done a bit of updating and add some content. More to come. Welcome to Bad Donkey Gaming!